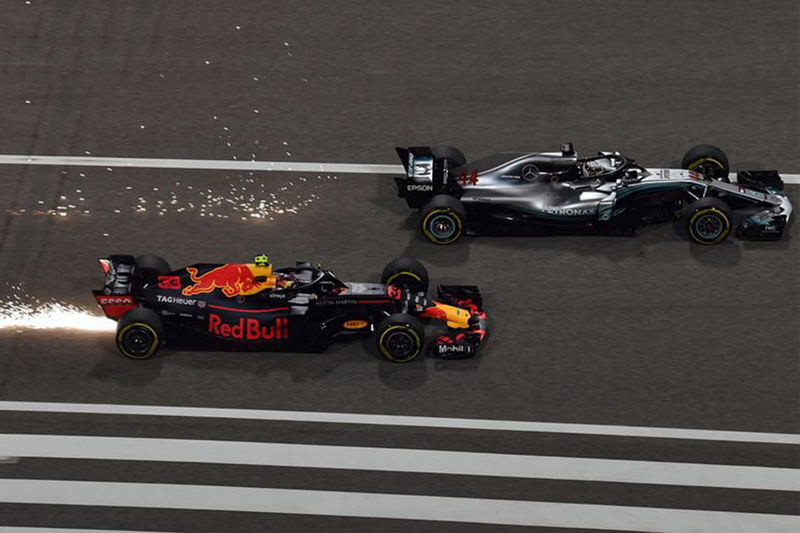 Those who watched the Bahrain Grand Prix yesterday (8 April 2018) will agree that it was a nail-bitingly close race between Sebastian Vettel and Valtteri Bottas. 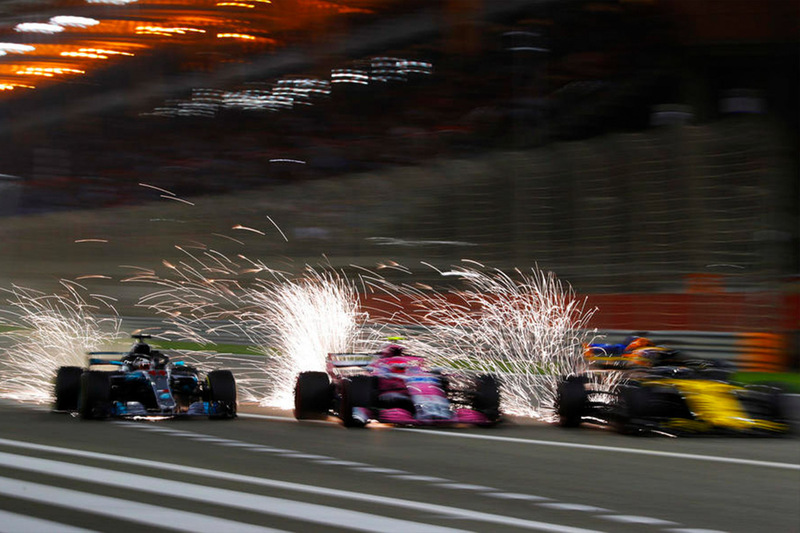 The second race of the season was filled with action and excitement, however, there was some very disappointing news for the Red Bull fans as Max Verstappen and Daniel Ricciardo were out within the first few laps due to a tire puncture caused by a collision with Lewis Hamilton and car problems respectively. 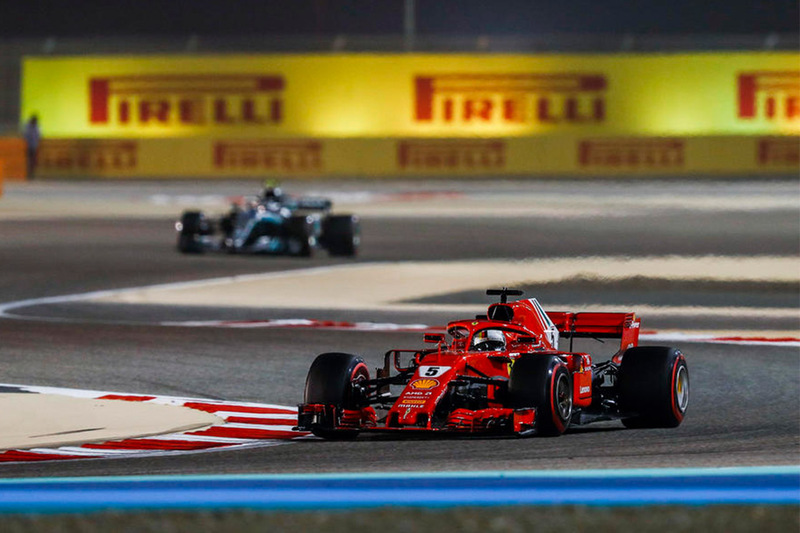 Also, for the second Ferarri driven by Kimi Räikkönen, his race came to a screeching halt when Ferrari experienced a miscomunication in the pits. 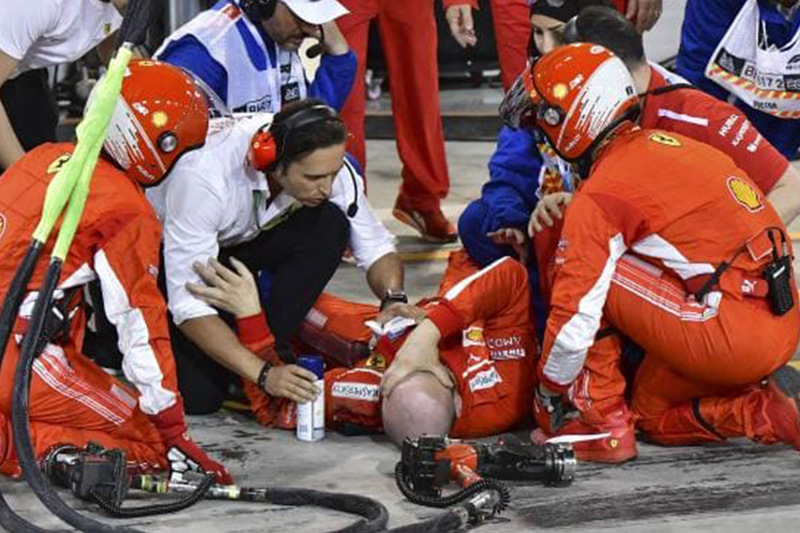 Francesco Cigarini, one of Ferrari's pit crew, suffered a broken leg after being struck by Kimi Räikkönen’s car when the Finn was mistakenly told to leave his pit box early. Cigarini underwent surgery on Sunday evening. He posted on Instagram that the operation went well. Räikkönen was forced to retire due to the incident and Ferrari was fined for an unsafe release penalty. 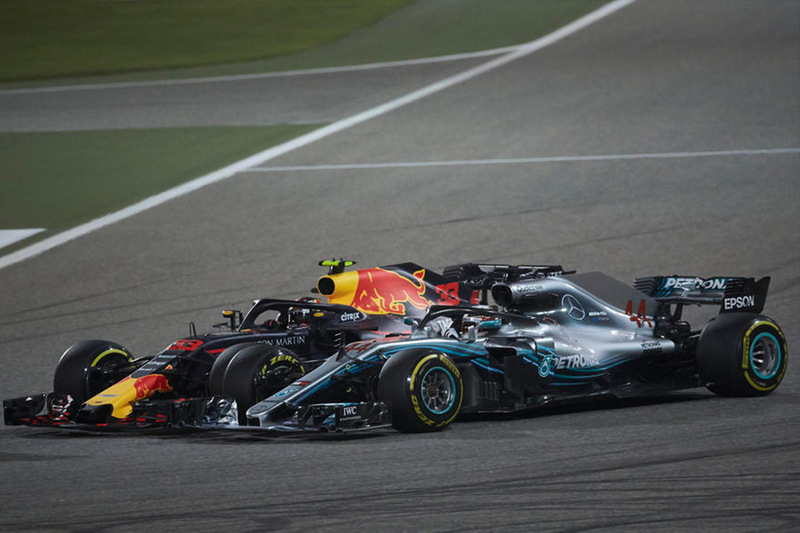 Verstappen started well down the order after an off in qualifying, but his comeback charge ended due to a puncture following a first-turn clash with Hamilton. 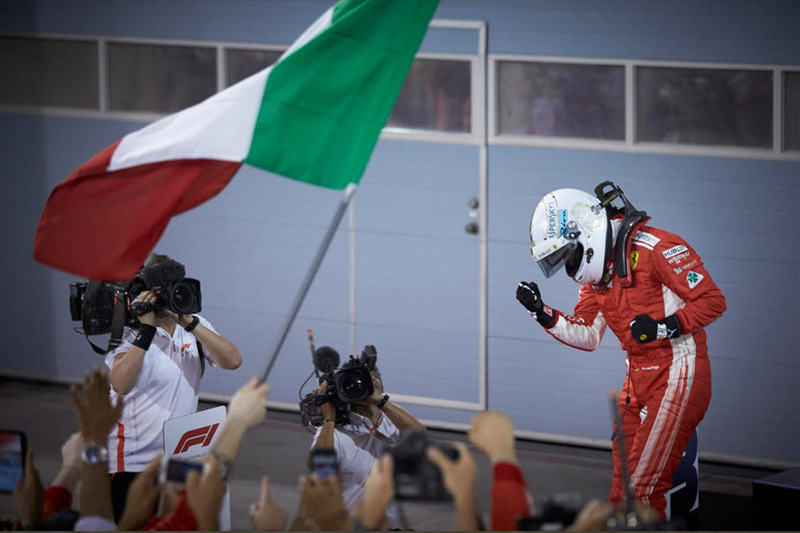 The Bahrain GP was Vettel’s 200th F1 start; he started from his 51st pole position and ended with his 49th victory. Notably, Vettel finished on the podium in 101 of his 200 races. 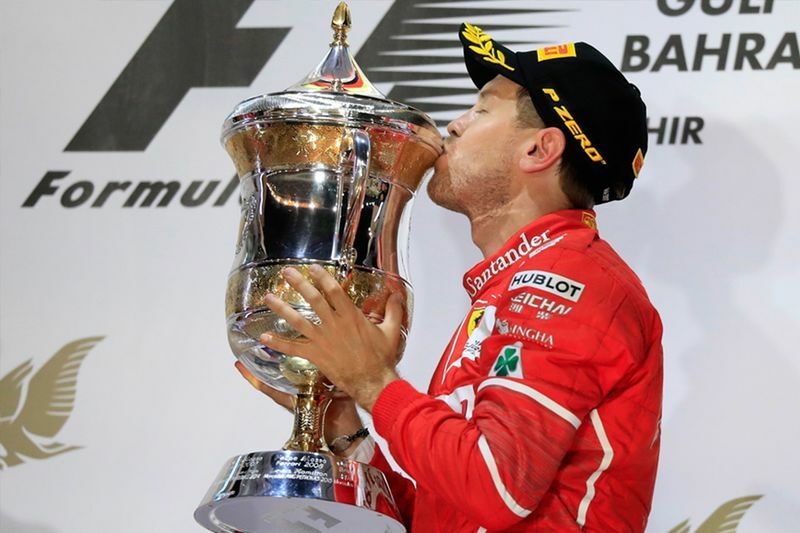 Perhaps more importantly for Vettel, he now leads Hamilton in the title race by 17 points. Next round: Chinese Grand Prix, Shanghai International Circuit, 15 April. Video: Here's Another Clip From 'the Grand Tour' To Get You Gee'd Up About Its Release! ' Richard Hammond Receives A Gift From Jeremy Clarkson!